Objectives: To describe the course of employee-individual clinical status with respect to upper limb musculoskeletal disorders (UL-MSDs), epidemiological surveillance of UL-MSDs was implemented for three consecutive years at a household appliance assembly company. Methods: A standardized clinical examination guide was used to survey UL-MSDs of employees seen in annual consultation. Recorded data included eight specific UL-MSDs as well as the main sociodemographic characteristics of employees. Univariate and multivariate analysis were performed. Significance was defined as P<0.05. All statistical analysis were performed with Statgraphics (version 5.1) software. Results: During three consecutive years, 459 employees were seen in the occupational medicine consultation. The annual prevalence of UL-MSD cases was 20.2% in 2000, 21.7% in 2001 and 24.0% in 2002. In fact, this relative stability conceals significant renewal of the population suffering from UL-MSDs with time, illustrated by both a high rate of annual incidence of cases (9.8 and 13.5% in 2001 and 2002, respectively) and a high rate of annual recoveries (37.0 and 44.3% in 2001 and 2002, respectively). 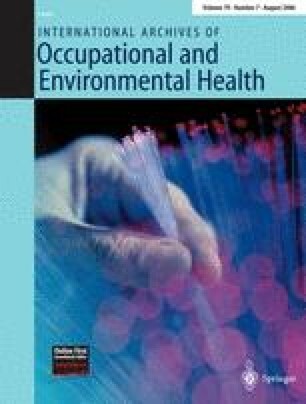 Conclusion: Factors governing variation in individual clinical status of employees with respect to UL-MSDs and their interactions remain little known and open up interesting research prospects. This study was supported by the French National Research and Safety Institute for the prevention of occupational accidents and diseases (INRS).